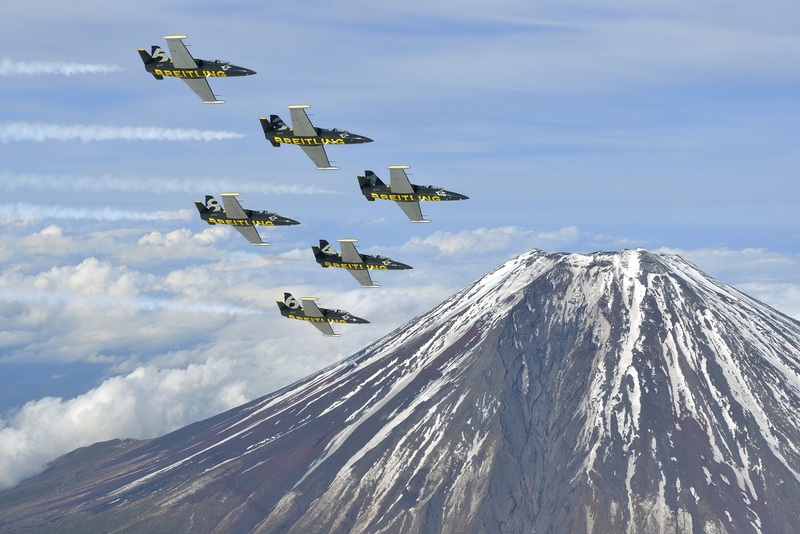 Warbirds News has just learned that the world famous Breitling Jet Team will be touring the United States in 2015, marking their first ever visit to North America. The Breitling Jet Team is the largest professional civilian jet aerobatics squad in the world, and features seven high performance Aero L-39C Albatros ex-military trainers. Their fabulous display routine is well known and respected at air shows in Europe, and it will be a thrill to have them perform for a whole new audience. Transporting eight jets to the US, as well as the necessary support team and equipment will be a complicated and costly adventure, but Breitling is up to the task, and should be applauded for their efforts. The team will certainly present a novel and exciting act for any US air show to entertain, and it’s bound to provide a big draw for their audiences. Breitling is lining up air show stops on their calendar, and is already slated for the EAA’s AirVenture Oshkosh as well as the National Championship Air Races in Reno, Nevada. The team will announce more dates as soon as they are confirmed. 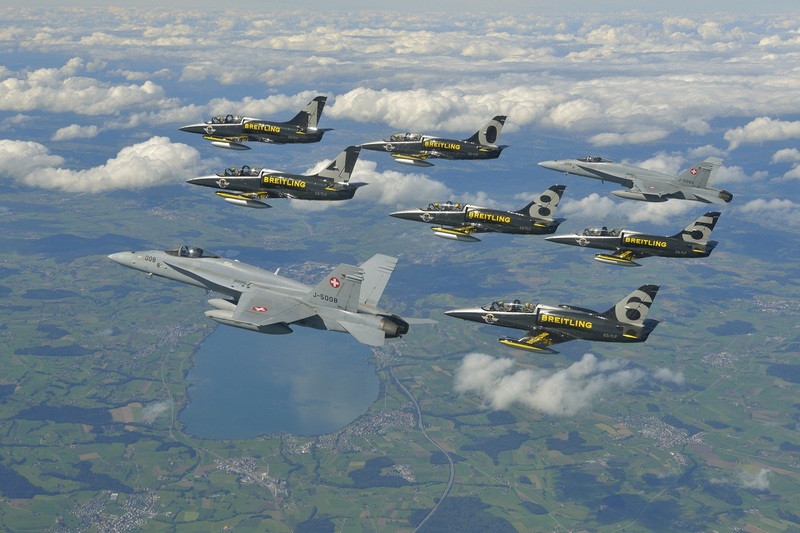 Breitling Jet Team with Swiss Air Force F/A-18 (Image Credit Breitling SA). The precision and skill demonstrated by the team personifies Breitling’s ties to aviation. Since developing onboard chronographs for airplane cockpits, including World War II propeller-driven fighter planes, Breitling has been known as the authentic partner of aviation. This reputation was solidified in 1952, when Breitling launched its legendary Navitimer wrist chronograph featuring a circular slide rule serving to perform all navigation-related calculations. A cult object for pilots and aviation enthusiasts, it has been continuously manufactured for almost 60 years – making it the world’s oldest mechanical chronograph still in production. Other favorites among pilots are the Aerospace watch, which was launched in 1985, and the innovative Emergency timepiece with a built-in transmitter that was originally introduced in 1995 and was recently updated to a new version that will launch in 2014 and is the world’s first wristwatch with a dual frequency locator beacon. “Bringing the Breitling Jet Team to the United States is very exciting and will be greatly anticipated by the large contingent of aviation and airshow enthusiasts in this country. I am looking forward to working with Breitling on this project. We had such great success with Jetman last year at EAA AirVenture Oshkosh and the National Championship Air Races in Reno, Nevada in 2013. This is another opportunity to make a positive impact on aviation in the U.S.,” said Sue Gardner, National Aviation Events Specialist and Air Show Coordinator of the FAA General Aviation and Commercial Division AFS-800. 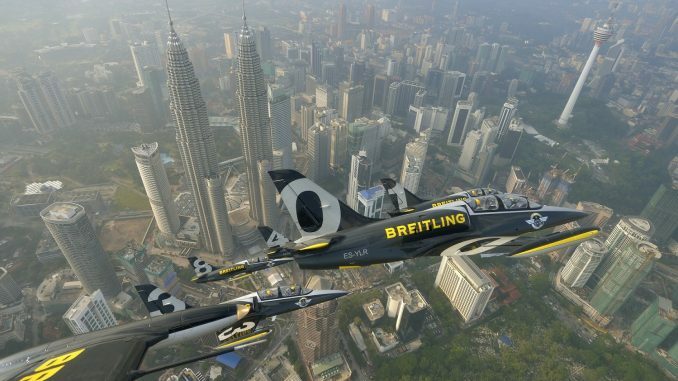 “The Breitling Jet Team represents all that we strive for in the air show industry: professionalism, showmanship, precision. Their U.S. tour in 2015 is one of the most important developments in our industry in the last 20 years,” said John Cudahy, President of International Council of Air Shows (ICAS). ABOUT BREITLING JET TEAM: The world’s largest professional civilian flight team performing on jets, the Breitling Jet Team is a group of seven highly skilled pilots who have trained together for nearly a decade, and can fly within a few feet of each other at speeds of over 500 miles per hour with up to 8G accelerations. The team is internationally recognized for their talent in aerial formations and sequences. Each year, the jet team performs at over fifty shows around the world. 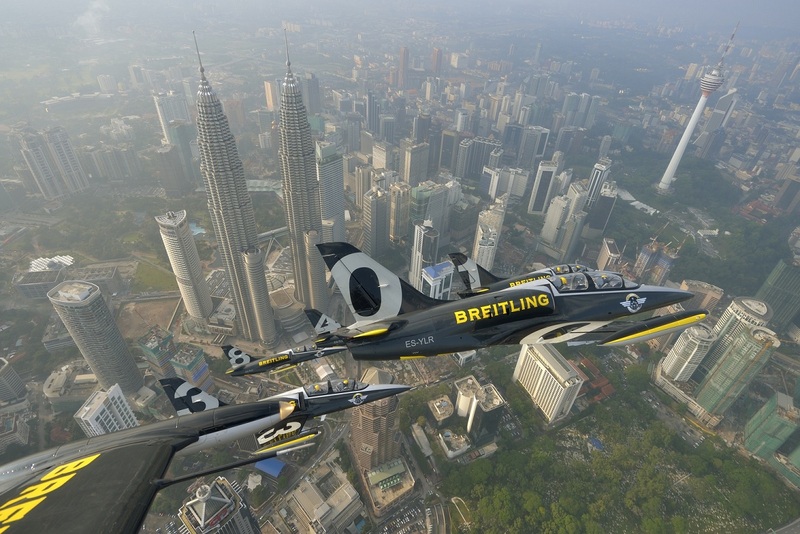 In 2013, the Breitling Jet Team was the first civilian jet display team to complete a tour encompassing Asia, Russia and Europe. To see footage of the Jet Team’s flights, please visit http://bit.ly/1cxL2uv . ABOUT BREITLING: A specialist of technical watches, Breitling has played a crucial role in the development of the wrist-worn chronograph and is a leader in this technology. Léon Breitling founded the company in 1884 in St. Imier, Switzerland, and chose to devote himself to the exclusive and demanding field of chronographs and timers. Breitling developed the first independent chronograph pushpiece in 1915 and then added the second pushpiece in 1934 to complete the final configuration of the modern chronograph. In 1969, the brand introduced the first selfwinding chronograph movement. Today Breitling is the world’s only major watch brand to equip all its models with chronometer-certified movements, the ultimate token of precision. Breitling is one of the rare companies to produce its own mechanical chronograph movement, entirely developed and manufactured in its state-of-the-art workshops with its quality guaranteed by an unprecedented five-year warranty. This family business is also one of the last remaining independent Swiss watch brands, celebrating its 130-year anniversary this year in 2014.